You may well have heard of wedding planning and wedding styling, but in recent months a new kid has joined the block - wedding design, and it’s shaking things up in all sorts of ways! Now I know some people may be sighing and shaking their heads at the thought of a new service designed to help those have the wedding day of their dreams, especially given that a common train of thought is that wedding planning and styling isn’t really essential. At the end of the day, not everyone can make a stunning wedding cake, but most people can plan a wedding if they want to, and make their wedding look pretty good with the help of their friends and family. Or that’s what some people think. So why the need for wedding design on top of this, and isn’t it just another way of saying ‘wedding styling’? Firstly, wedding design and styling are fundamentally quite different services. Styling, in wedding terms, usually refers to hiring styling elements from a wedding stylist, including chair covers, table centrepieces and signage. 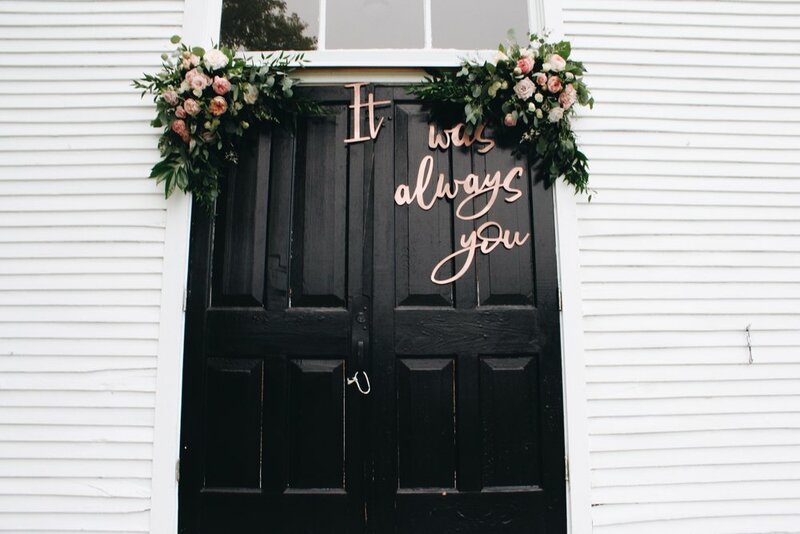 Now if you have planned the majority of the wedding yourselves and a stylist has exactly the pieces that would complete your wedding day aesthetic then it’s certainly an ideal option. As the stylist owns the items outright, you are just realistically paying a hire fee to borrow these for your wedding day, with the option for the stylist to attend the venue on the morning of your wedding to set-up whilst you get ready. However, if you’re looking for a bespoke wedding, which is truly personal to you and your partner, the feeling that someone else may have hired those exact pieces before for their special day can take the shine off a little bit. Given the certain limited number of props, it’s unlikely that you would be able to achieve a completely unique day just with the help of a wedding stylist. If you are looking for a wedding that is a total reflection of you and your partner, your lifestyle and your relationship, then a wedding stylist isn’t what you are looking for. Depending on their services, they’re not going to be helping you design the flow of your day to ensure that your personalised cocktail hours runs smoothly into your one-of-a-kind wedding breakfast. They’re not going to help you come up with unique ideas that your guests will never have experienced at another wedding before. They’re not going to be designing you a wedding from scratch that will fondly be yours forever and ever. And that’s not because these stylists aren’t insanely creative and talented, because they are. It’s simply not something part of their business offering. So What Do Wedding Designers Do? That is, in fact, the job of a wedding designer. Because we really do start creating your wedding day from scratch! We sit down with you over a coffee, cocktail, champagne… whatever takes your fancy, and we design you a wedding day that will feel intimately yours. We find out about your personalities, your hobbies and interests, your likes and your dislikes, and your tastes in everything from food to wine to colour schemes. We will create moodboards and inspiration boards, colour palettes, and a concept design that will direct your suppliers when creating your wedding stationery, floral design and your cake. Everything will be linked to who you are and the lifestyle that you lead, something that your friends, family and other guests will no doubt know you for. Why Is Wedding Design Important? How many weddings have you been to that have actually been surprisingly similar? The layout of the day has been the same, the cocktail hour features the same drinks, the same conversations and the same format. The wedding meal could have been copied and pasted from the wedding you attended the week before, and by midnight you’re ready to go home knowing you won’t miss out on anything that you can do at the next five weddings. Do you really want to people to feel that way about your wedding? We’re so used to sticking to tradition because we’re scared to break away from the mould over such an important day in our lives. But why serve prosecco if your date nights regularly feature tequila and whiskey chasers? Why use the venue’s crockery, just because it’s included, if you would rather have table settings that really fit with your chosen colour scheme? Why hire a DJ just because it’s what usually happens towards the end of a wedding? If you want a classical band then go ahead and do it! This is the difference between a wedding day, and a bespoke wedding day. Trends come and go, and fashions fade, but you can never go wrong with basing a wedding day around who you really are. If you shop at The White Company and Jo Malone, for example, then you do this for a reason - you like the aesthetic and it reveals a lot about your lifestyle. A DJ and finger food buffet just don’t fit into that, but a wedding designer will be able to help you find what truly does. Don’t worry about guests not ‘getting’ your wedding day. The only way that will happen is if you do what is expected of you rather than what is a reflection of who you are. And it’s only a wedding designer who will be able to listen to your lifestyle and pull together a wedding that you will feel like has been fully planned around you. How Can A Wedding Designer Help You? And we’re not just with you at the design stage, leaving you to then find ways to pull all of our suggestions together. No, we handle so much more than that. We will liaise with suppliers to make sure you are getting the quality that suits your day, and getting you the best price. We will attend appointments and meetings with you, if you so wish, to ensure that every aspect of your wedding fits together beautifully. We will keep track of what payments are due when and send you reminders of these. And we will hand-made you any bespoke decor items that you feel would make your wedding complete. Oh, and we will be there on the day itself to ensure everything looks the way that it should. I have created wedding set-ups that transcend every theme imaginable - a country cottage-esque wedding set in a greenhouse, a Game of Thrones style wedding which found its way onto the biggest wedding blog in the world, a millennial pink elopement which was only designed with the couple in mind, and an Asian-Fusion wedding which took the best from both cultures and made it a truly personal day to remember, filled with stylish and symbolic elements. And every one has been hugely unique and so different from the last. Having photographs that you will look back on forever and know that you wouldn’t change a thing if you got a chance to do it all over again is worth every penny. Because fashions fade but style is eternal, and your style is the only thing we’re bothered about when designing your day. If you would like to find out more about our wedding design services then you can check these out here, and if you would like some more information about what we can do for you then please email me at charlotte@redamancy.co.uk. We offer complimentary, no-obligation consultations to discuss your wedding and what you are looking for, so get in touch to arrange a meeting!